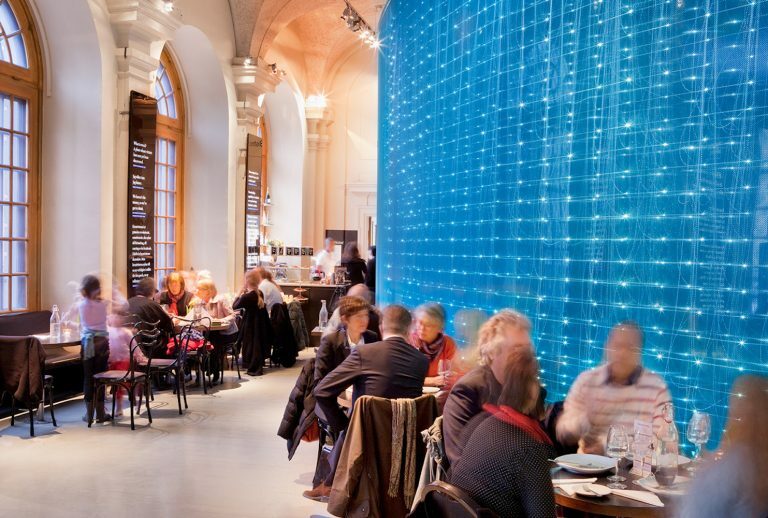 Welcome to Bistro Nobel, Nobel Prize Museum's own restaurant. Bistro Nobel is modeled on Café Museum in Vienna – one of the many cafés that were informal meeting places of intellectuals at the turn of the century. Turn your café chair upside down while you are here and you will find signatures of all the Nobel Laureates that have visited the museum. The bistro serves daily specials between 11 am and 2 pm, as well as sandwiches, salads, pastries and beverages. The price for a lunch is 120 SEK. You can buy our “10-card” for 1050 SEK. Included in the price is a starter sallad/soup (depending on the season), bread, butter and coffee/tea. The bistro is open when the museum is open, taking final orders 30 minutes before closing. We have an afterwork on Fridays 17.00–20.00 and Happy Hour 17.00–18.00 when we offer cava for 50 SEK/glass. Of course we also have tasty alcohol-free alternatives. The museum has free admission during the AW. Welcome! We serve the famous Nobel Ice Cream, a unique ice cream made only for Nobel Prize Museum in collaboration with Daniel Roos, who has created the dessert at the Nobel Banquet four times. 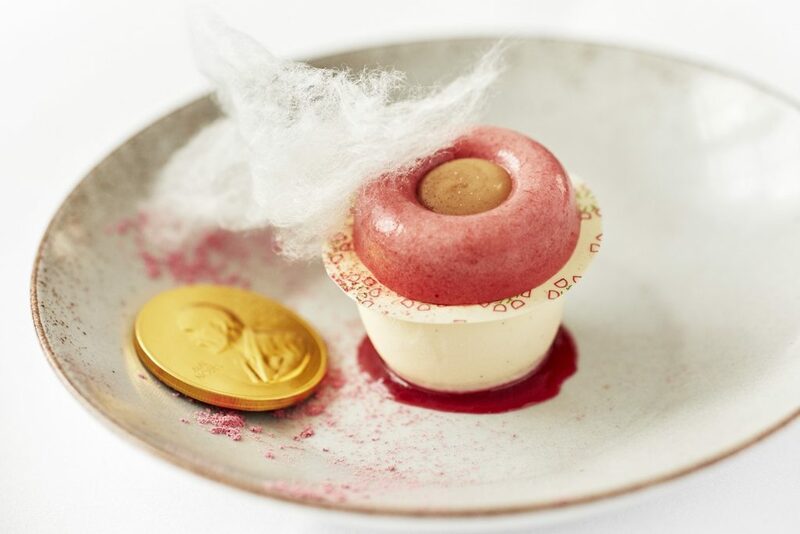 It is inspired from the old tradition of serving ice cream bombe at the festivities (1976–1998). It is only sold here at Bistro Nobel. Let your taste buds go wild! Bistro Nobel can be reserved for everything from a breakfast meeting to a cocktail event or sitting dinner. Please visit our event page to find out more. Reservations for evenings or events +46 8 534 818 39 or event@nobelmuseum.se.